Almost one year ago, I started a new journey into digital health, which was a relatively new field for me. Apart from participating in and leading in a few community health initiatives years ago, I sought to use my background and skills in design research and product management to uncover unmet needs to create digital health innovations. This week, I graduated from the TMCx biodesign fellowship, having met so many very incredible people along the way. I want to thank the leadership and staff at Texas Medical Center Innovation Institute — Erik Halvorsen, Bill McKeon, Farzad Soleimani, Eric Richardson, Gwyn Ballentine, Melissa Feldman, and Ariel Rogg — for the guidance, vision, and organization of the program. To the 40+ the startup entrepreneurs and founders I met in the accelerator this year, you all are awesome to be making such progress. There were many many advisors supporting us that have helped tremendously providing feedback and guidance. 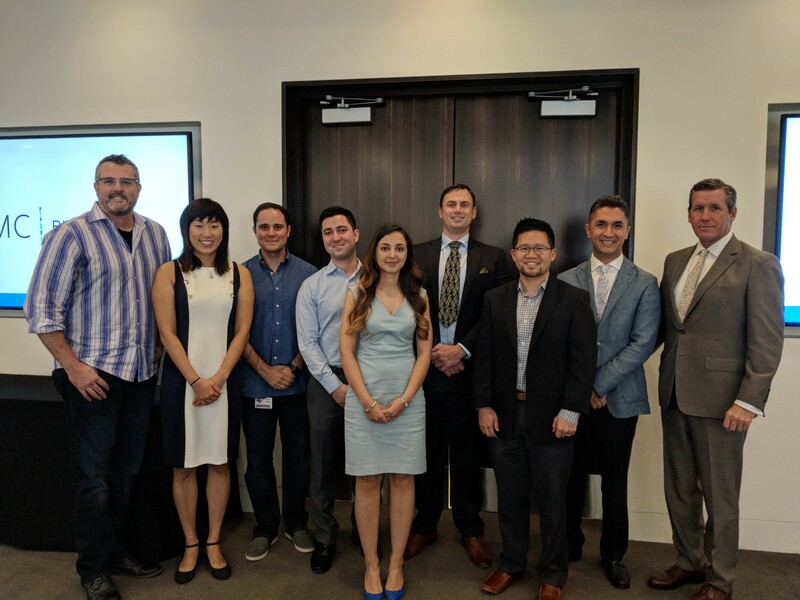 I appreciate all of them sharing their time generously, including Pedram Mokrian and Mike Lyons, Marta Zanchi, Dr. Billy Cohn and Tom Luby (JLABS), Hank Safferstein and Marissa Kuzirian(PLSG), and many others. To my biodesign colleagues and VastBiome teammates, thank you for the opportunity to work and learn from you. Lastly, I thank my family who endured through this adventure, and am deeply thankful for your support. Even before getting into the fellowship, I worked on an in-depth case study on the opportunity to address atrial fibrillation (AF/Afib) on patients who cannot use anticoagulents (blood thinners). This was a small but significant personal achievement because it was my first case study related to medicine. It was amusing to my wife because I stepped into her world with the medical conversations we had as result. Studying the landscape of digital health players, the team conducted 185+ assessments in the StartupHealth and TMCx portfolio of startup companies. Each deck basically assessed the company through the lens of strengths, weaknesses, opportunities, and threats and risks. This helped build familiarity with where digital health innovation was focused. 100+ hours spent in observation, interviews and observing doctors, nurses, and staff in the emergency department (ED) at Memorial Hermann and Ben Taub (Harris Health); the operating room (OR) workflow in the catheter lab at Texas Heart Institute at St. Luke’s. Visiting facilities at MD Anderson Cancer Center, UTHealth School of Dentistry, TIRR Memorial Hermann (Rehab), Methodist Research Institute, and Allegheny Health Network in Pittsburgh, PA. Visiting conferences across the US to speak with key opinion leaders such as talking with CIOs of providers at Becker’s health IT conference in Chicago, IL; discussing key topics in payer-provider convergence at Chilmark’s Convergence in Boston, MA; networking with key players in the life sciences ecosystem (providers, pharma, investors) in Pittsburgh at the Pittsburgh Life Sciences Week. (Speaking of Pittsburgh as a CMU alumni, I believe that the collaboration among Carnegie Mellon, University of Pittsburgh, UPMC, and startup incubators such as Pittsburgh Life Sciences Greenhouse and LifeX will result in traction in the life sciences space, and it’s worth keeping an eye on over the next few years). As result of the effort and time spent, 350+ unmet needs were identified and assessed using the biodesign methodology to frame the needs in terms of need statements. We also layered in design thinking and business canvas modeling to extract and identify unknowns. With so many needs, we subcategorized the needs into several themes (see below), and each themes had its own business model canvas. Care management: Workflow in the hospital, ED, OR, and etc. for clinicians (doctors, nurses, support staff) who are on the front lines of delivering care to the patients. This includes collaboration and communication challenges. Clinical decision support: Insight for the doctors and clinicians that will impact the course of treatment for the patient. This includes using data from patient records, analytics, or other means to provide better patient outcomes. Laboratory: Pathology-related needs that involves the tests that clinicians order. Tests can be tumors or blood-related. This involves the logistical, operational, and insights that support the ordering physician who will use the information to determine treatment. Genomics: With the potential of personalized medicine, how can we use genomic data to affect better patient treatments to treat diseases such as cancer. Population Health: Group-based approach to address care such as elderly, homeless, women, children, diabetic, and even through specific programs or market channels. Health Planning: With much of healthcare being delivered by self-funded employers, how do employees or consumers get on-going care, preventative care, and etc. generally through health insurance contexts. I’ve seen this to include behavioral change and incentivizing better behaviors. Health IT: This include data management/governance, EHRs, revenue cycle, and interoperability of systems largely within the context of health systems. Through the process, we iterated on the needs into 3 concepts, and then, together founded VastBiome. I focused on building business models, financial projections, and managing investor relations. As a data geek and aspiring data scientist, I appreciate Peter McCaffrey’s guidance as I learned bioinformatics on genomic data using qiime2. As this space is further upstream into the research side, I’ve been exposed to trends such as computational biology applications in life sciences, the clinical trial space, and finally, the biotech and pharmaceutical landscape into drug development. I’m proud of the VastBiome team having formed several key partnerships and won a number of competitions. I’m grateful for everyone I met and the opportunity to build innovations in the digital health and biotech space. Knowing that, I’d like to give back by sharing my digital product management knowledge and experience to those looking at digital health challenges. Feel free to reach out and connect to me via LinkedIn. Product Management, Innovation, Digital Health, UX, Data Science and Analytics.